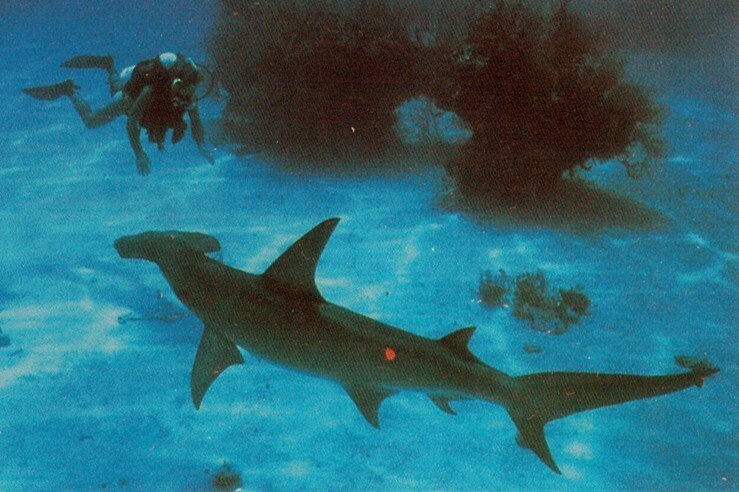 This is a Great Hammerhead Shark about 8-9 feet. Photo by Rod 23 Feb 2007. 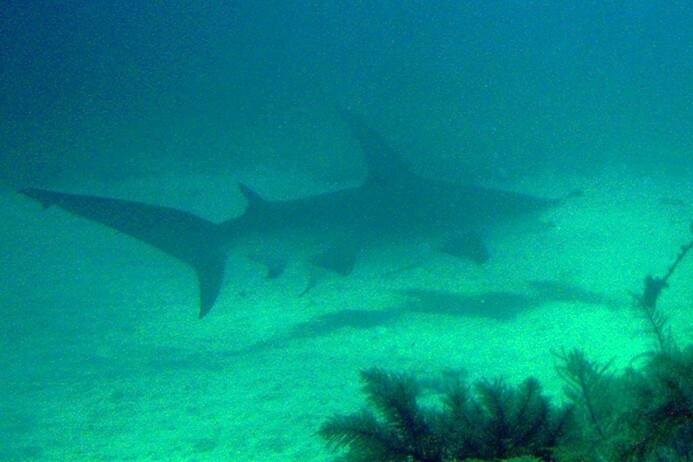 Location , Banana Reef, Key Largo in about 40 feet water. Notes: Notice the large dorsal fin, which separates it from the Scalloped Hammerhead; uncommon on reef, usually oceanic.